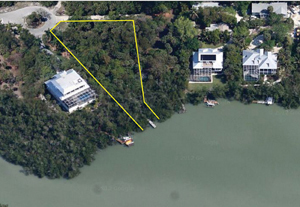 Sanibel Island Real Estate, Captiva Island Real Estate - Great News for Dinkins Bayou! Great News for Dinkins Bayou! Since Blind Pass was dredged and reopened, many have wanted the work to continue into Dinkins Bayou. 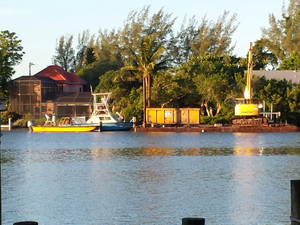 Well, Dinkins Bayou dredging is now underway! 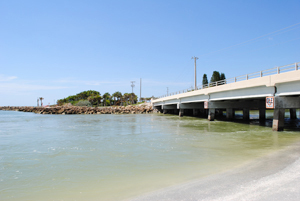 The boat ramp at the end of Henderson Road, where the dredging equipment is being mobilized, will be closed until the project has been completed, which is projected to be in November. The dredging project is to improve water quality in the area. The Pine Tree Drive canal system will also be included in the dredging. A few years ago a culvert was built under San-Cap Road, which is a large part of our water quality improvement. The culvert connects Dinkins Bayou to Clam Bayou as well as the previous dredging at Blind Pass. Besides improving water quality in the area, boaters will have a 5-foot mean-low-water depth in the channel through Dinkins Bayou. Boating access has always been for shallow draft vessels using a very narrow channel, and now we can look forward to easier, any tide, access to Pine Island Sound! Property values throughout the area should be positively affected. Boating is a big part of the attraction to this area, and easier access to some of the best boating and fishing in Florida will benifit waterfront owners! From Pine Tree Drive, or Dinkins Bayou, it's just a short boat ride to Blind Pass and the entrance to the Gulf of Mexico or Pine Island Sound. Your boat still needs to be able to fit under the Blind Pass Bridge, but taller boats can head to Pine Island Sound before heading to Redfish Pass at the north end of Captiva. I currently have a great listing at Dinkins Bayou that will benefit from this dredging project. It's a large vacant lot with a dock already in place. This 30,000+ sq. ft. lot has lots of room for your dream home overlooking the water. Home plans for a 4-bedroom with a pool are available with this property. (pictured to the right). 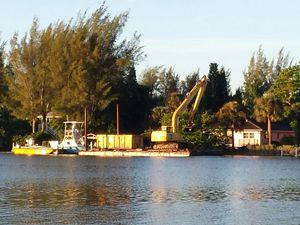 We'll watch this dredging project continue as we look forward to another great winter season! Labor Day is over and our northern friends are starting to plan their Sanibel winter. It's even started snowing in some northern areas, which is always a motivating factor for visitors and residents to head south to our Islands! Sanibel and Captiva Islands continue to enjoy an active real estate market, and I think this should be your year for island living. 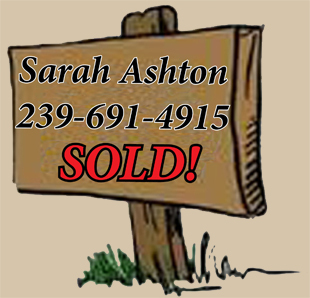 I want you to give me a call (239-691-4915), or visit my user-friendly property search website. I'm a longtime island resident and I can help you through all areas of your property search. I love these islands and I know you will too!